To say that food and drink is at the very heart of Scotland would be an understatement. More than just a night out, Scottish food and drink is the very lifeblood of Scotland's culture and economy. With our rolling, rural hillsides, clear coastal waters and lush, fertile lands, Scotland produces some of the best, and most sought after, natural produce in the world. From mouth-watering Aberdeen Angus steaks, to world-renowned seafood such as wild trout, salmon, oysters and langoustines, not to mention our water of life - whisky - the 'Made in Scotland' stamp has become synonymous with taste and quality. Even our cheese gives the French a run for their money! Scotland’s stunning landscapes are more than just scenery – its coast and countryside are where our high quality produce is reared, gathered and grown. Hand-dived scallops, Aberdeen Angus beef, Ayrshire potatoes and the soft fruits of Fife are just some of ingredients that Scottish chefs have to work with. Local butchers and fishmongers, as well as farm shops, food festivals and farmers markets, are great places to go to pick up tasty treats so you can cook up your own dishes. Some Scottish produce is considered so unique that it’s been designated Protected Geographical Indication (PGI) by the European Union. These high-quality items must be produced in an agreed way and within a specific area to be able to make use of the regional name. So when you taste products such as Stornoway Black Pudding, Traditional Ayrshire Dunlop cheese, Orkney Scottish Island Cheddar and Scottish Wild Salmon, you know it’s the real deal. And there’s nothing quite like eating them in the region they come from! Scotland’s national dish is haggis, a savoury meat pudding, and it’s traditionally accompanied by mashed potatoes, turnips (known as ‘neeps’) and a whisky sauce. Which brings us to the national drink – whisky. Over 100 distilleries in Scotland produce this amber-hued liquid, many of which can be explored on a tour. There are five Scottish whisky regions, each with their own distinct flavours, and rumour has it that if you don’t think you like whisky, it’s just because you haven’t found the right one yet! Other traditional things to eat include deserts such as Cranachan, sweet treats like shortbread and tablet and savoury dishes, including Scotch broth and black pudding. Various regional cakes and snacks can be found across the country, including Aberdeenshire butteries, which is a type of bread roll, Dundee Cake and Cullen Skink – a deliciously creamy seafood soup. Want something to wash it all down with? We might have just the thing! We’ve got to open with our biggest export – whisky is, with good reason, our national drink. Touring a distillery or attending a sampling is a great way to discover this rich and diverse drink. Scotland also has a long history of brewing beer, and is home to a growing number of craft breweries. Many can be toured, and run sampling events and beer festivals – explore the breweries with Scotland's Craft Beer Map. And then there’s gin. Scotland’s responsible for more than half of gin production in the UK, with over 50 producers making around 100 different gins - browse them with Scotland's Gin Map. Looking for something a little softer? IRN BRU should probably be your first port of call when in Scotland – this bright orange pop drink of an acquired taste is known as ‘Scotland’s other national drink’. 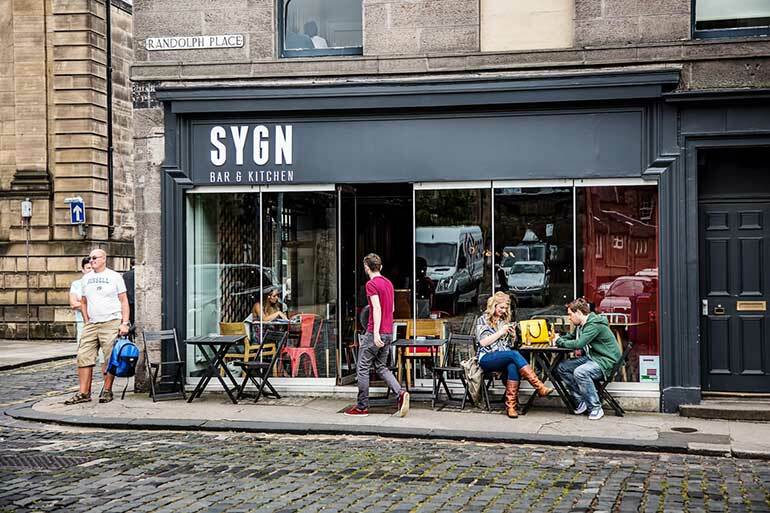 Time to tuck in – there are plenty of options when it comes to eating out in Scotland. All manner of restaurants, traditional pubs, cosy cafés, elegant tearooms and down-to-earth takeaways can be found across the country. Splash out and dine in one of Scotland’s Michelin-star restaurants. Join a foodie walking tour in Edinburgh or Glasgow to sample a range of top culinary experiences. Eat fresh seafood dishes in Scotland’s seaside towns, delight in a traditional afternoon tea, or follow a food and drink trail for a foodie road trip. 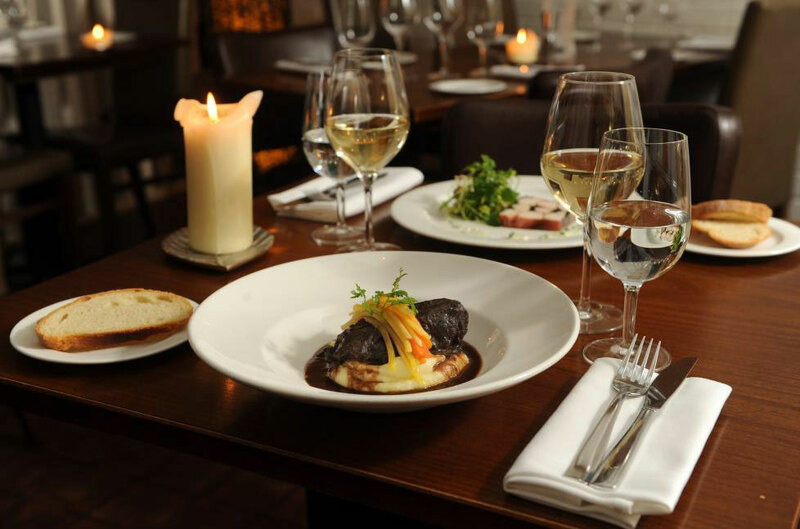 And if you’re still struggling to decide what to eat, check out places with Taste Our Best accreditation - this guarantees that they are serving up good quality Scottish food. Food festivals, pop-up restaurants, street food and cooking masterclasses are just a few examples of the food themed events you can experience in Scotland. Traditional Scottish dishes like haggis and porridge are well known and have a long history. But modern Scottish food is all about fresh flavours, quality ingredients and mixing the old with the new. We've chosen a selection of Scottish recipes for you to try, many of them created by famous Scottish chefs. So, why not get cooking? You're only a step away from trying some fabulous Scottish dishes for yourself. With a history stretching back as far as the 11th century, Scottish whisky – also known as Scotch – is an important part of our identity in Scotland. Like the drink itself, the story of whisky-making in Scotland is fascinating and complex.